It is not the strongest species [organisation] that survives, not the most intelligent, but the one most responsive to change. Things are evolving fast and we live in an unpredictable, complex business environment. We need to change the world! There were a number of great topics presented and this year found it harder to prioritise what to attend. 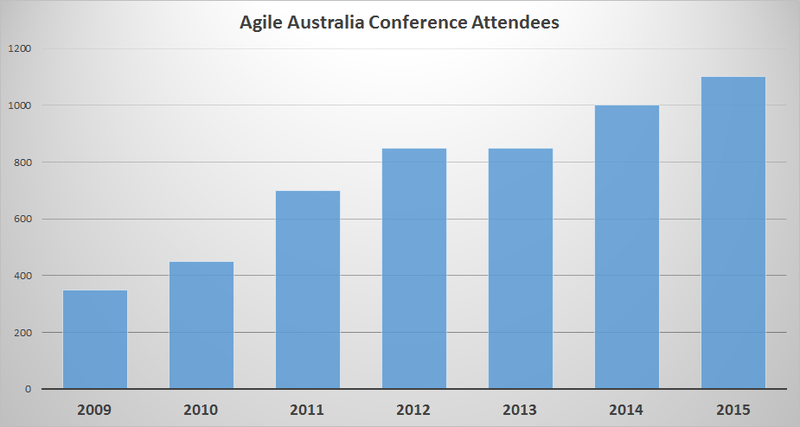 This was my 7th Agile Australia Conference and looking back at the very first Agile Australia conference, the industry has evolved and changed a lot over the years. The first conference was dominated by a few players (the early adopters in Australia) and consisted of 29 sessions hosted in 2 parallel streams with 350 attendees. In 2015 there were 56 sessions, 5 parallel streams and with 1100 attendees. It was a pleasure to be a Chair at the conference again this year with the stream ‘Build Measure, Learn’ with my co-chair Paula Ngov and help contribute to the program. agile is about how you think and that organisation thinking overrides team thinking. Therefore success with agile depends primarily on organisational culture and investments. David Marquet is a former nuclear submarine commander and author of the book ‘Turn the ship around‘. His opening Keynote looked at the future of Leadership. People doing the work can make better decisions because they have the information. You will get better speed of execution because you don’t have a delay. The only thing hard about this is you, we have been genetically and culturally to take control and attract followers. What you want to do is give control and create leaders. 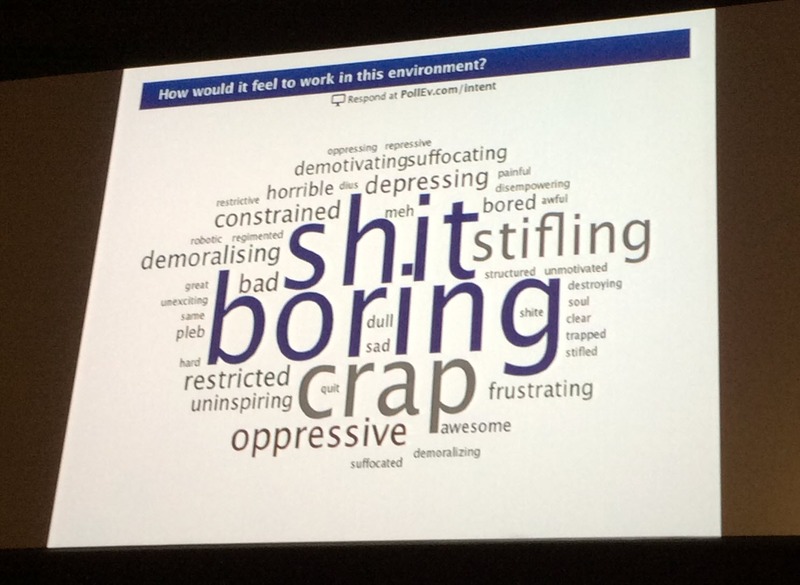 During his keynote, David did a live poll of the audience on what it would like to work in an environment where the leadership style meant controlling people . I hope the managers and leaders in your organisation are not creating a work environment like this…. Jeremie’s presentation took a interesting look at turning some common questions we may face into reality checks using some common principles that we know today. Whenever we make decisions we need to be grounded (and often reminded) that there are certain principles that may challenge our biases. Conway’s Law: Organisations are constrained to produce designs which are copies of their communication structures “How could you improve our customer experience?” “How could we remove some organisational silos to work better together? 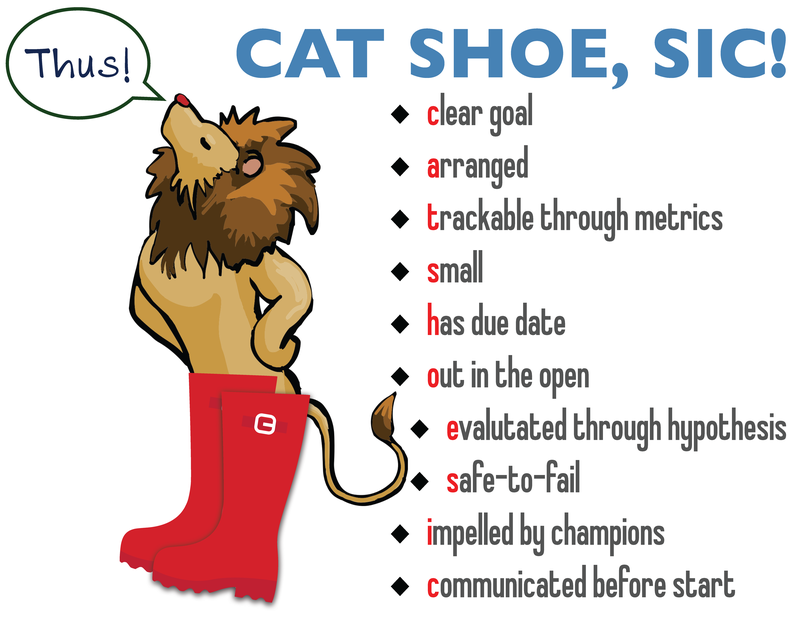 Trackable through metrics – measure the improvement/change. did it have an impact? Small – make small incremental experiements, short timeframe, small/one team. Evaluated through hypothesis – leveraging the lean startup approach, what hypothesis are you trying to prove? what does success look like? what does failure look like? Stuart Bargon (@StuartBargon) – Don’t scale Agile. Descale your organisation. With many talks about scaling agile and lots of conversations in the industry about applying agile in the large enterprises, its easy to forget what makes agile successful. Enterprises often scale by watering down agile. So it was refreshing to see a talk about descaling the organisation. Stuart described how Fairfax Media, one of Australia’s oldest public companies transformed its Domain Group business to be a focused, nimble, growing and Agile company. Of note, when Fairfax Media formed Domain Group, they moved PMO across but then moved it back into Fairfax Media. 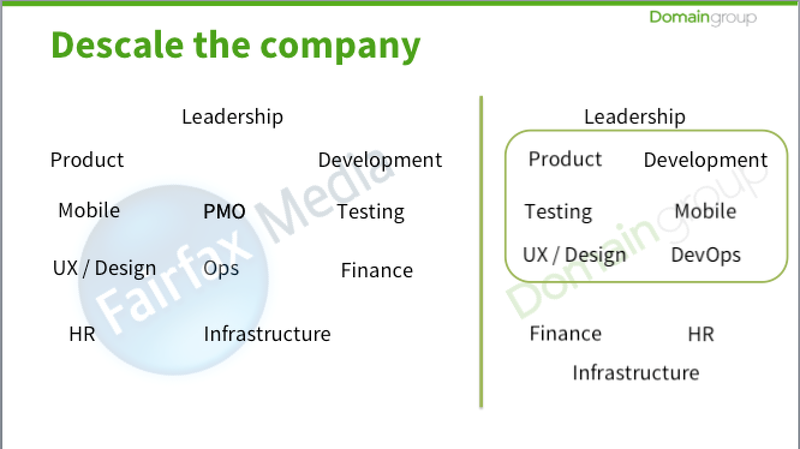 From the image, you can see from the new structure the PMO were no longer needed as the decisions that was traditionally done by the PMO is now taken on internally by the Product Development Teams (circled in green) as they are closer to the information. Not only did they descale the organisation, the descaled the need for coordination/projects by making teams responsible for a product area and are largely independent of each other. To enable teams have this autonomy, they made some investments to descale their technology and introduced microservices. The decoupled technology removed the tight coupling/dependencies between teams so they can be autonomous and release independently. Whilst Anders said that the “the Spotify model” never intended as a model, many teams and organisations are trying to adopt their way of organising into squads, chapters, tribes and guilds. The “model” is a snapshot of how they work at a given time and is constantly evolving. Details of the model (as of 2012) can be found in the document Scaling Agile @ Spotify with Tribes, Squads, Chapters and Guilds, and in the videos Spotify Engineering Culture (as of 2014) Part 1 and Part 2 . Anders reinforced some earlier messages in the conference that success is all about the team and leadership is all about supporting the team – it is the leadership behaviours that is important – not a role. “POTLAC” is the leadership at Spotify – Product Owner, Chapter (Team) Lead, Agile Coach. Although many will see “the Spotify model” as a poster child for how to be agile and therefore don’t need any coaching, one notable importance is that Spoitfy values the role of the Agile Coach. Every team has an coach. There is no end to the Agile Journey and Spotify is alway improving – “Improve Everything”. 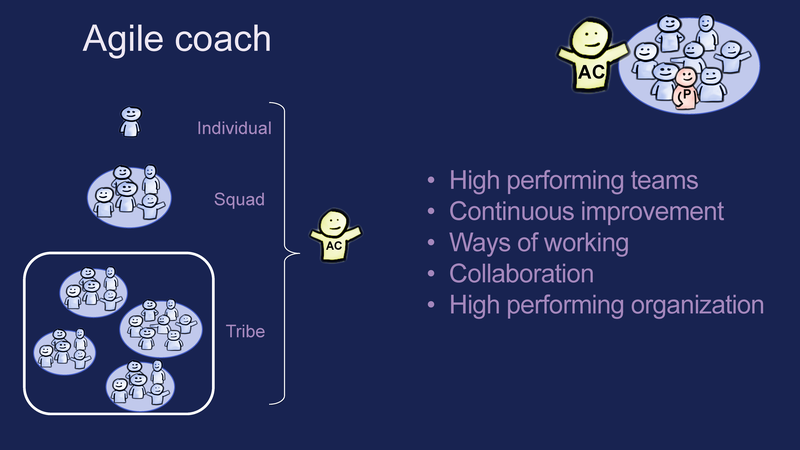 The role of the Agile Coach is important to support the squad and teams on their journey towards high performance and continuous improvement. Anders emphasised the importance of having a mindset of not letting stupid things get in the way and paramount is having a kickass engineering discipline. Most people make decisions that are not rational or for logical reasons. In reality rational arguments with reasons, benefits and decision tables do not convince people. No matter how well you explain things to people, people don’t buy-in. None of our decisions are rational, but we are good at explaining decisions once a decision has been made – a process called rationalisation. Take on a role of a Evangelist.You need to believe and have a passion for the change. What you have is your belief that your idea is a good one and that it will work.Create short term goals – build on your successes and learn from your failures – do small experiments, just do it, time for reflection, baby steps. My idea is so good, that should be enough. There is a belief that truth, justice and good should win. Data clearly shows, that when we are eating we are more open to influence.All languages speak to this connection. When we eat together, there’s a feeling these are the people we trust – its a great influencer even if its a bad idea. Myth #3: If I just had enough power I could make people change. People believe that they can tell people what to do, and if they don’t they can just fire them. This is an illusion, this does not make real change. Forcing people to change, you may get compliance (or appearance of compliance). What you want is real change. We want people who are passionate about and care about it. We want people to have real commitment, and you can’t get this with an edict. Personal Touch.You must address a genuine user need. Data does not equal empathy. You need to reach out and try to understand the viewpoint of people who you want to change and give them a reason (sell your idea as a way for them to be better).Different people accept new ideas differently, so you will need to address people differently and answer the “What’s in it for me?” and bring them along the journey. Myth #4: Skeptics, cynics, resistors—THOSE people, well, they must be BAD or STUPID or BOTH!! Ignore them!! We label people as THOSE people. This ends up dividing the world up. Fear LessUse resistance to your advantage. Listen, really listen and learn all you can, even from the cynics. Respect and build on the resistance.Find a Champion Skeptic: Encourage a resistor to play the important role of “Devil’s Advocate.” Treat the person as valued partner in the change effort. Get them to help get better. Myth #5:You’re a smart person, so you don’t need help from others. After all, it’s your idea! Ask For HelpThe idea is yours and you believe in it, but the change must NOT be “all about you”.You need other people’s help. And when others help you, recognise their contribution with Sincere Appreciation – this is a powerful influencer! The thanks must be sincere, timely, contain details of what they did and the impact of their help. What pattern will you use to change? Linda was very generous with her busy travel schedule and joined us at the Agile Coaching Circles Meetup the following day in Melbourne. There were some good talks about DevOps to reduce time to market, improve quality and improve resilience to enable business agility and enablers of the digital disruption. Embracing failure and having an experimentation mindset was a common theme with several speakers advocating “fail and learn early”. In a complex situation you need to create environments and experiments that allow patterns to emerge. A popular session was a talk on how Daniel Pink’s Drive was used to create an amazing culture where autonomy, mastery and purpose was used to drive happiness and productivity. It’s not about motivating people, it’s about leaders creating an environment where people just want to do it – turn work into play. Many talks focused on working in a lean fashion and being totally focused on delivering value to customers using concepts such as A/B testing, lean startup and customer driven development. Irene Au who was Yahoo’s VP User Experience and Google’s Head of User Experience talked about the importance of design and encouraged everyone to be a designer. It was pleasant to catchup with old friends but to meet new ones as well whilst at the conference. 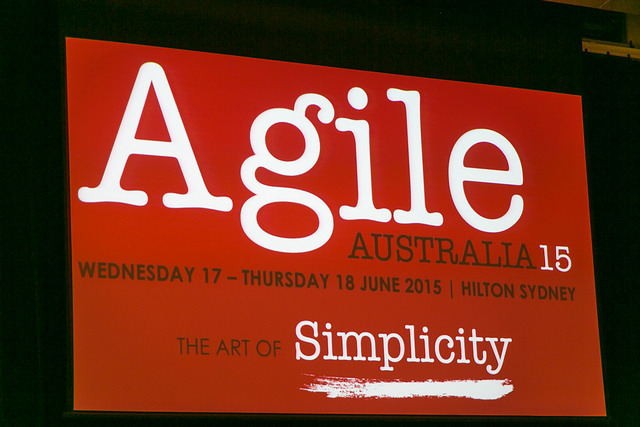 The heart of agile is always about improvement & change – it’s a journey that never ends. Organisations are insanely complex that there is not one solution that works – you need to target the change to your organisation. You need to bring the agile principles into your work environment and make them what you need them to be. Overall, there was a great buzz about the conference, with lots of conversations and I think many walked away being inspired to change the world. ← What is the relationship between Systems Thinking, Lean and Agile? Thanks Venky. Glad you liked it.